Seedfund Advisors and Dr Ravi Verma, Regional Director, Asia, ICRW (International Centre for Research on Women); were amongst the distinguished panel members who discussed the nuances of sourcing, nurturing and retaining talent in the development sector to create wider social impact. Neeraj Jain, Country Director, PATH India moderated the Panel discussion. Prof. (Dr.) Anil Sahasrabudhe, congratulated TSP and Katalyst for its innovation and contribution in the field of human resources in the past decade. Prof. Sahasrabudhe highlighted the problem of lower number of women in the field of technology and engineering education both as students and at leadership level and how that necessitates the need to work right from school level to bring more diversity to the workforce. He further emphasized on improving ‘employability’ of young talent through training on soft skills and awareness about emerging technology. Prof. (Dr.) Sahasrabudhe introduced the audience to the recent initiative of AICTE, a mandatory foundation program prior to starting the academic year that will focus on bringing the youth from lower income communities at a level playing field and set a tone for higher academic achievement. Prof. (Dr.) Sahasrabudhe, hence connected the dots between various issues such as gender diversity and nurturing talent from low income communities to facilitate social impact. Panel Discussion by the distinguished guests delved deeper into the challenges faced by the development sector in finding, nurturing and retaining right talent at senior and leadership levels. Bhagyashree Dengle, (Executive Director, Plan India) put forth the view that each individual is unique and it is organization’s responsibility “.. to create an enabling environment to nurture and retain talent.” Dr. Ravi Verma highlighted that “.. finding senior talent is more difficult than hiring younger talent and nurturing them”. In this context, Paula Mariwala (MD, Seedfund Advisors) drew a parallel in the entrepreneurial sector and said that passion backed by accountability is extremely important. Her experience shows that in the entrepreneurial world risks and mistakes are always factored in while working and more focus is on building, growing and supporting a passionate team who will take the founder’s vision to the next level. Dr. Neeta Das (CII) explained how organizations today are looking for superheros – people who will show extreme commitment and drive for the work -and how such talent, if found, needs to be retained by organizations. Dr. Ravi Verma (Regional Director-Asia, ICRW) delved into what the organizations in the social space look for in a candidate. He explained that the candidate’s ability to look at the bigger complex reality and being able to be self critical is extremely important. He further added that his organization always looks for people who are constantly connected to the larger social reality and are pushing boundaries when it comes to work. According to him, a person’s ability to critically analyse the how and why of their work and their understanding of how their work will impact social transformation is what sets him/her apart. Third Sector Partners is the pioneer of executive search for the development sector in India and is the country’s first and only not for profit search firm dedicated to identifying leaders par excellence. Over the past decade, Third Sector Partners has been recognized as the most sought after executive search firm for top and senior management positions to national and international NGOs/philanthropic foundations, social enterprises, educational institutions and private sector organizations focused on creating social and economic impact. Since its inception in 2005 as a ‘Section 25’ Non-Profit Company, TSP has engineered a well designed and customized search methodology and process which identifies and selects strong leaders for organizations, given their size, culture and context, who will enable them to achieve their mission. Third Sector Partners’ strengths, core competencies and retained search methodologies are in line with other leading retained global search firms for corporate CxO and Board searches. Over the years, TSP has worked and engaged with organizations like Fight Hunger Foundation, IPE Global, Mobile Creches, JPAL, IFMR, GAIN, Dr Reddy’s Foundation, GMR, OXFAM, Wadhwani Institute of Sustainable Healthcare, Aga Khan Foundation, Population Services International, ABT Associates, ActionAid, DFID, Children International, Azim Premji Philanthropic Initiatives, Oak Foundation, Shakti Sustainable Energy Foundation, Kotak Education Foundation, Villgro and UnLtd to name a few. So far, TSP has completed over 700 mandates for more than 250 clients. It has also successfully sourced and supported transition of over 80 professionals from the main stream corporate sector to the non-profit sector. We have constantly reinvented ourselves and come up with new value propositions pertinent to the sector needs. 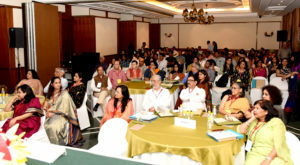 Whether it is launching India’s first interactive platform for the development sector-GoBarefoot Portal or incubating Barefoot Talent Solutions-a firm focused on mid to senior level positions for the social sector, Third Sector Partners’ strength lie in conceiving smart solutions and new service offerings. 100 % of TSP’s profits go towards funding Katalyst, its own CSR initiatives which has now provided various interventions to more than 400 + talented engineers from low income communities with another 500 students currently enrolled in the program. Katalyst, which is currently working on transforming the lives of more than 500 students in 4 cities; Bangalore, Delhi, Mumbai, Pune; is committed to work in preparing young women for leadership roles, thereby bridging the gender gap in corporate India. Katalyst achieves this objective through a blend of unique development interventions, including our proprietary and scientifically researched curriculum of over 600 hours, and personalized mentoring. Katalyst Alumni have made their mark in civil services, corporate companies, pursuing masters and as entrepreneurs.